The Dayton Hamvention® is this week! -- May 18-20 at the Greene County Fairgrounds and Expo Center in Xenia, Ohio. The largest annual Amateur Radio gathering in the US this year has been sanctioned as the 2018 ARRL Great Lakes Division Convention. At the ARRL Member Forum at 2018 Hamvention®, Great Lakes Division Director Dale Williams, WA8EFK, chairman of the ARRL Public Service Enhancement Working Group, will talk about the dramatic changes that are occurring among agencies serving in the emergency and disaster response sector. He'll share an update on planning for proposed new guidelines for participants in the ARES program, including plans for a new volunteer management software system, called ARES® Connect. Upgrades to ARES training and resources will ensure the service continues to be a valuable partner for its served agencies into the future. The ARRL Member Forum is scheduled for noon on Saturday, May 19, in room 3. A complete guide to ARRL activities, exhibits, and presentations at 2018 Hamvention is available at www.arrl.org/expo. ARES Annual/Monthly Reports can be found here, organized by date, with a link to download a PDF of the full report. Archives of the ARRL ARES E-Letter going back to the original issue (September 2005) are available for download. ARRL Emergency Coordinators may register their ARES group here for a group ID. ARRL Expo -- a large exhibit area in Building 2 ("Tesla" Building) -- will serve as the hub for ARRL activities, booths, and program representatives. More than 90 team members will support ARRL EXPO, including 18 ARRL Headquarters staffers. Recent additions to the ARRL EXPO guide include schedules for the ARRL Stage and "Meet the Authors" table. Amateur Radio operators have a history of helping their communities by providing radio communications in good times and in bad. You need to prepare yourself. Preparedness is about training so you will be ready when called upon. Being ready is about believing it can happen and taking steps needed to act properly when things go bad. This forum is for the newly licensed ham, and for those new to public service and emergency communications who want to learn how to do more for their community. Solid, collaborative, and mutually beneficial partnerships are key to successful disaster and emergency response. Amateur Radio public service groups rely on such partnership when serving their communities. This session will address how to build and grow partnerships of different levels of complexity, across a wide range of interests and organizations -- from Voluntary Organizations Active in Disasters (VOADs), to other non-profits and businesses. A chance to hear from representatives from Amateur Radio's largest organizations active during times of disaster and emergency. Firsthand accounts from volunteers who supported Amateur Radio's response to the 2017 hurricanes in Puerto Rico, US Virgin Islands, and across the Southeast US. Drop-in to enjoy these short public-service-themed presentations throughout the convention. See the latest schedule posted near the ARRL Stage in the ARRL exhibit area. The nearby Public Service exhibit will include a display of ARRL Ham Aid equipment, which received much attention and significant donor support following last year's hurricanes. At the always-popular ARRL Membership Forum at noon on Saturday in Room 3, Great Lakes Division Director Dale Williams, WA8EFK, will share an update on proposed new guidelines for ARES volunteers (see above story). Willams is leading a team that is seeking to upgrade ARES training and ensure the service continues to be a valuable partner for its served agencies into the future. Here is the complete schedule of programs, forums and presentations for this week's Dayton Hamvention! Have a great Hamvention and Great Lakes Division Convention! WX4NHC, the amateur station at the National Hurricane Center in Miami, Florida, will conduct its annual station test on Saturday, May 26, 2018 from 9AM-5 PM EDT (1300Z-2100Z). This year marks the station's 38th year of public service at the NHC. The purpose of this event is to test station equipment, antennas and computers prior to this year's Hurricane Season, which starts June 1st and runs through November 30th. This event is good practice for ham radio operators worldwide, and helps NWS offices across the country become familiar with Amateur Radio communications support services available during times of severe weather. WX4NHC operators will be making brief contacts on many frequencies and modes, exchanging signal reports and basic weather data ("Sunny", or "Rain", etc.) with any station in any location. WX4NHC will be on-the-air on HF, VHF, UHF , 2 and 30 meter APRS and WinLink wx4nhc@winlink.org (subject line must contain "//WL2K"). Operators plan to stay on the accepted Hurricane Watch Net frequency 14.325 MHz most of the time. Due to space and equipment limitations, there will only be two operators per shift. Hams may be able to find the operation on HF by using one of the DX spotting networks, such as DX Watch. Operations will also be run on the VoIP Hurricane Net 4PM to 5PM EDT (2000-2100Z). (IRLP node 9219 / EchoLink WX-TALK Conference node 7203). The Florida Statewide SARNET and local VHF and UHF repeaters will also be employed to make contacts. QSL cards are available via WD4R. Please send your card with a S.A.S.E. Do not send QSLs directly to the Hurricane Center address, as they will get delayed. Due to security measures, NO VISITORS will be allowed entry to NHC without prior clearance from the NHC PIO and Security. Only WX4NHC Operators on the pre-approved operating schedule will be allowed entry. For more information about WX4NHC, please visit the website. On April 14th, 2018, Oregon State ARES conducted a statewide SET (Simulated Emergency Test). Oregon ARES consists of six districts. District size consists of a minimum of three counties to as high as five to six counties. At least 22 out of the 36 counties in Oregon participated in the exercise with a number of County Emergency Managers participating. The SET was based on the following scenario: A massive cyber attack on the electrical grid system in the Pacific Northwest devastated power generation and transmission capabilities. The suspected foreign state- sponsored attack effectively shut down all power until further notice, potentially for weeks. The after effects were widespread. Fuel could no longer be pumped; grocery stores and other food sources were shut down; waste water systems were backing up and reliable domestic water was scarce. Looting and panic took over. ARES was activated and members were tasked to facilitate emergency message traffic related to status of local communities. ARES was to attempt to setup one or more portable stations capable of HF and VHF/UHF using voice and digital communications modes. - No fixed site radio stations were permitted. - No permanent site repeaters were to be used; portable repeaters or simplex only was permitted. - No Winlink CMS or Internet gateways could be used. - No Internet-assisted communications were allowed. - Units were to be powered by backup means i.e., by battery or generator. 1. A number of counties do not have portable and/or mobile radio stations (in Go Kits). They need to be constructed, developed and packaged. 2. Radio equipment and antennas need to be tested on a scheduled basis for operability and reliability. 3. In some cases, HF and VHF propagation was an issue. This made key contacts an issue. This situation is not new to hams, and workarounds need to be developed to attempt to bridge gaps. 4. Net Control management on HF became an issue. More stations/operators throughout the State of Oregon need to be trained to be Net Control Stations. 5. Additional Winlink training is needed. 6. After Action Reports need to be submitted on approved forms so that they can be evaluated to determine successes and shortcomings. These reports need to be submitted by everyone who participated and in a timely fashion. Damage Assessment Operations is a new online FEMA Emergency Management Institute (EMI) Independent Study (IS) course. This course will equip participants to conduct damage assessment in accordance with the Damage Assessment Operations Manual: A Guide to Assessing Damage and Impact. Objectives: Upon completion of this course, participants will be able to: 1. Describe the relationship between damage assessment and Federal disaster assistance 2. Describe roles, responsibilities, and activities during each phase of the damage assessment 3. Prepare to conduct damage assessment 4. Conduct damage assessment for Individual Assistance (IA) and Public Assistance (PA) 5. Evaluate damage and impact to the community. Click here for the course. Nassau County, north of Jacksonville, Florida, to the Georgia border, hosted a government 60-meter exercise session on May 7, 2018, to test the communications viability of the channelized band in the surrounding area of their jurisdiction, using NVIS antenna systems. In planning this operation, the county asked a 60-meter ARES net team to assist in reporting signal strengths and audio qualities of their operators to the county EOC (W4NAS), and if needed, assist in getting traffic into the Florida Department of Emergency Management (FDEM) in Tallahassee, the state capital, where operator KK4OAI was to serve as operator on duty at the FDEM's state EOC. Other counties, NGOs, and ARES groups wanting to participate were allowed on a time permitting basis. The primary mission focus was on Nassau county's likely situations and environment in this drill. Groups were registered by 60-meter Net Control Station Paul Eakin, KJ4G, who thanked all for their participation. "The results of data collected and lessons learned should be very valuable to both Nassau County managers and the 60-meter operators for further planning in emergencies," Eakin said. A broadcast news story in Arizona reported on amateurs helping save lives in the Tinder Fire, south of Flagstaff. ARES members were cited in the report as serving at the Coconino County EOC. to provide communications coverage owing to poor cell service at the fire line. According to the story, for two hours, the ARES members relayed life-saving information, getting out a code red to those in the Blue Ridge community in the path of the flames.On the other end was a team member on the fire line needing to get evacuation information out fast. View the broadcast news story here. On Saturday, April 28, 2018 Sussex County (Delaware) ARES signed a memorandum of understanding with Bethany Beach Volunteer Fire Company, Station 70. Bethany Beach is a small town on the Delaware coastline. Sussex county is one of just three Delaware counties. The memorandum formalized a framework of cooperation and a close working relationship between the two organizations. Under the agreement signed by Bethany Beach Fire Chief Brian Martin, Bethany Beach Asst. Chief of EMS Division Phillip Brackin, Sussex County ARES Emergency Coordinator Chuck Betyeman, W3DEL, and ARRL Delaware Section Manager Bill Duveneck, KB3KYH, ARES operators will provide communications support to Station 70 in times of disasters, emergencies, and public event related situations. Sussex County ARES and Bethany Beach Volunteer Fire Company have worked together for several years during public events such as the Ocean to Bay Bike Tour, held once again on this date, and the First Responders Triathlon. This memorandum of understanding formalizes and solidifies the long-standing relationship, and both organizations look forward to many more years of safety and mutual support. For additional information, contact Sussex County ARES Emergency Coordinator Chuck Betyeman, W3DEL. I read your article Handling HAZMAT Incidents in the February 2018 ARES E-Letter issue. In re the case study presented, I agree with what you said in your wrecked tanker scenario. It was good that you pointed out that even first responders are limited in what they can do -- or should even try to do -- in a HAZMAT situation. One additional consideration that can assist responders if they can't see placards is to assess the actual construction of the tank trailer. For examples: the usual large and fairly smooth sided oval shape of gasoline or diesel tanker versus a tanker carrying corrosives like mining acids, which are usually narrower round tube type tanks that are heavily buttressed on the outside due to the increased weight, versus a grain or other hopper type trailer, etc. While not being able to say exactly what is in the tanker from a description, the person reporting should be prepared to give a good description of the tank's construction if possible, from a safe distance. of course. I was saddened on learning of the passing of well known ARRL figure, former Orange Section Manager, and a friend and colleague, Sandi Heyn, WA6WZN. 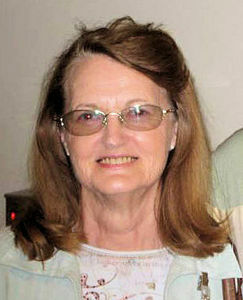 Sandi was the wife of ARRL Honorary Vice President and past ARRL Southwestern Division Director Fried Heyn, WA6WZO. The couple was inseparable, appearing together at ARRL Board meetings, conventions, hamfests, and other Amateur Radio functions for decades. It was a real privilege and pleasure to travel the convention and hamfest circuit with them in the Southwestern Division for so many years back in the 1980's and 90's when I was on the ARRL HQ staff. My wife Joanne, W1GUN, would sometimes travel with us, combining business with pleasure; for example, visiting a hamfest in Flagstaff, Arizona, and then driving through the desert to the Grand Canyon or the Hoover Dam and on to Las Vegas for some R&R. We laughed and told stories. Joanne and Sandi were kindred souls. A more formal obituary written by the ARRL news desk can be found here for details of her numerous organizational accomplishments, volunteer positions, work for Amateur Radio not only in the southwest, but across the country, and her career. Here, I just wanted to say that the amateur community has lost not only a real contributor to our avocation, but also a fine human being. She was an Iowa farm girl, and developed many wonderful traits. She had a sense of humility, able to laugh at herself, and had a sense of humor (where did she come up with that one, I would say to myself while laughing out loud). She was a grounding influence on all of us at ARRL Board and committee meetings, conventions and hamfests. Sandi made friends instantly, spoke calmly and kindly with a warm heart, humbly deflected talk of herself or her accomplishments, and had a joy for life.